Alien Bee: NYCC 2011: Mark Hamill Joins "NEW-GEN" Comic Book And Movie Franchise! NYCC 2011: Mark Hamill Joins "NEW-GEN" Comic Book And Movie Franchise! NEW YORK, NY (Comic-Con) – October 13, 2011 – A.P.N.G. 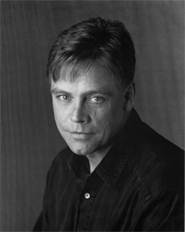 Enterprises, Inc. (Association for the Protection of the New Generation), creators of “NEW-GEN,”® the epic superhero comic book series, today announced Mark Hamill as creative consultant for the franchise, including the upcoming live action feature film production. 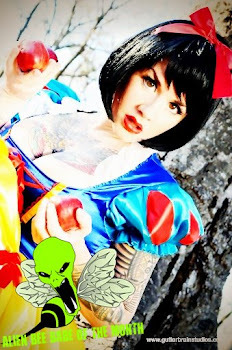 Originated as a comic book series printed and distributed by Marvel Comics, “NEW-GEN” is a transmedia property with characters and a storyline that reach across platforms, from movies to merchandise, television, mobile, video games and beyond (www.newgenuniverse.com). Mark Hamill joins J.D. Matonti, Chris Matonti and Julia Coppola, creators of “NEW-GEN”®, as creative consultant, contributing to the multiplatform evolution of the saga of twin brothers with extraordinary abilities seeking to discover their true origins. During NY Comic-Con this week, A.P.N.G. Enterprises, Inc. will release a special six-issue graphic novel, “NEW-GEN: Volume One,” featuring a “forward” from Hamill who shares his thoughts on this next-generation comic franchise that evolves around the battle over nanotechnology. Also joining the “NEW-GEN” team for the upcoming live action feature film are renowned Producer Mace Neufeld (“The Hunt for Red October”), Co-Producer and First Assistant Director Kim H. Winther (“X-Men: First Class”), Director of Photography/Cinematographer David Tattersall (“Star Wars: Episodes I, II, III”), Visual Effects Supervisor Jeffrey A. Okun (“The Day the Earth Stood Still”), Production Manager John H. Starke (“The Punisher”), Production Designer Oliver Scholl (“Jumper”) and Composer Christopher Young (“Spider Man 3”). “NEW-GEN” founder and creator J.D. Matonti will helm the production as the feature’s Director, with the franchise’s Julia Coppola and Chris Matonti rounding off as the film’s Executive Producer and Producer respectively. Hamill will also support “NEW-GEN” from the convention with two graphic novel signings, on Oct. 14 and 16, and a panel on Oct. 15 alongside franchise creators J.D. & Chris Matonti, comic artist behind the series Abdul H. Rashid, and transmedia expert Jeff Gomez of Starlight Runner Entertainment, who provided support in developing the “NEW-GEN” story world. Along with the graphic novel which features the first six issues of the comic book, A.P.N.G. 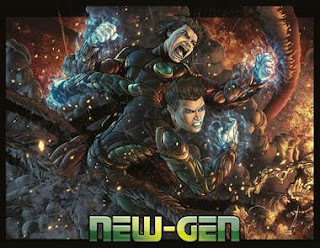 Enterprises, Inc. debuts issue number one of a five-issue miniseries, “NEW-GEN: NEW-DAWN,” in addition to a preview of “NEW-GEN: AWAKENING,” an upcoming series for 2012 introducing Carmen, a driving character in the live action feature film. About “NEW-GEN”A.P.N.G. Enterprises. Inc. (Association for the Protection of the New Generation) (www.newgenuniverse.com) launched “NEW-GEN” ® as an epic superhero comic book series, printed and distributed by powerhouse Marvel Comics. “NEW-GEN” ® issue #1 debuted at New York Comic-Con 2008 at the Marvel booth, introducing a nanopowered future world. Creators J.D. 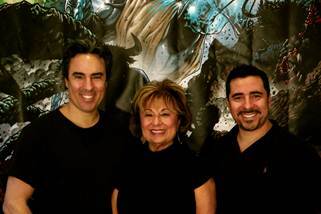 Matonti, Julia Coppola and Chris Matonti have transformed the “NEW-GEN” ® universe into a global transmedia franchise featuring characters within a storyline made for live action feature films, television series, mobile and video games, toys, merchandising and beyond.